As winter continues we take a break from war images to remember that life at home did continue. Walter Clutterbuck (1853-1937) came from a wealthy Surrey family but spent much of his life (when not travelling) in Norfolk, first at Northrepps Cottage then at Marsham Hall. His main passions seem to have been travel, fishing, horticulture and photography. An accomplished photographer, he often worked using a French stereoscopic camera of a kind that was meant he was able to take pictures of people without their knowledge. He favoured the gum bichromate process and these prints often have a soft, pastel-like appearance. The Norfolk Heritage Centre holds the main body of his photographic work: 35 albums and 48 exhibition prints. The albums are a record of home life and travels including visits to Norway, Brittany, Tenerife, St Tropez, Japan, Dalmatia, Belgium and India. This image is from album 11. 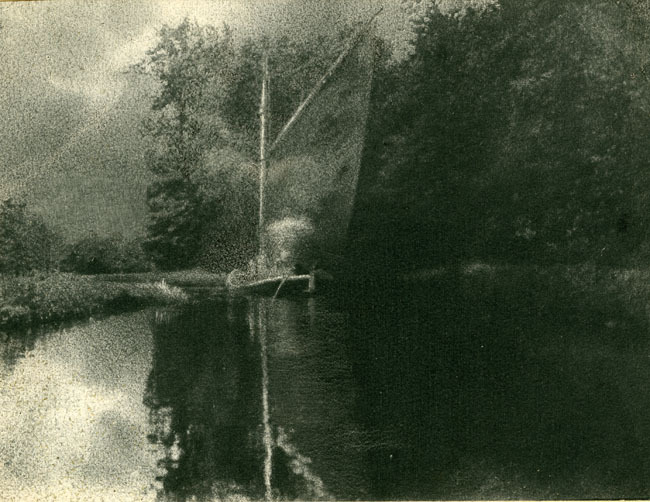 This entry was posted in Local collections and tagged 1917, Norfolk, rural life, Walter Clutterbuck. Bookmark the permalink.